It would be fun to be able to get excited about this, but since it hasn’t yet been tested on humans, one can only consider it a dream. 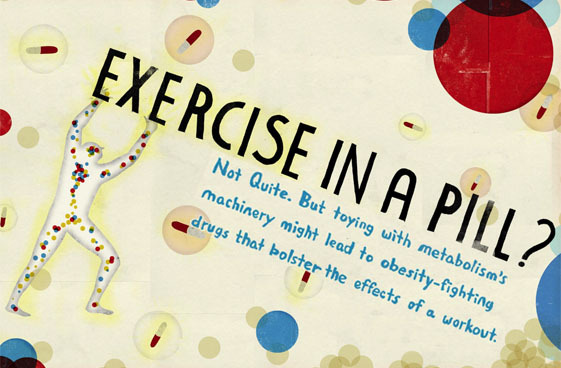 According to a recent study, the exercise pills would be greatly beneficial to people who are too frail to exercise and those with health problems like diabetes that are improved with exercise. The chemicals involved are already available, and such muscle-enhancing drugs would also have obvious appeal to athletes seeking to gain an edge in performance.